A customer journey map is an important tool for any successful customer experience management program. It illustrates the various stages of the customer journey, and pinpoints customer needs and wants at each stage. 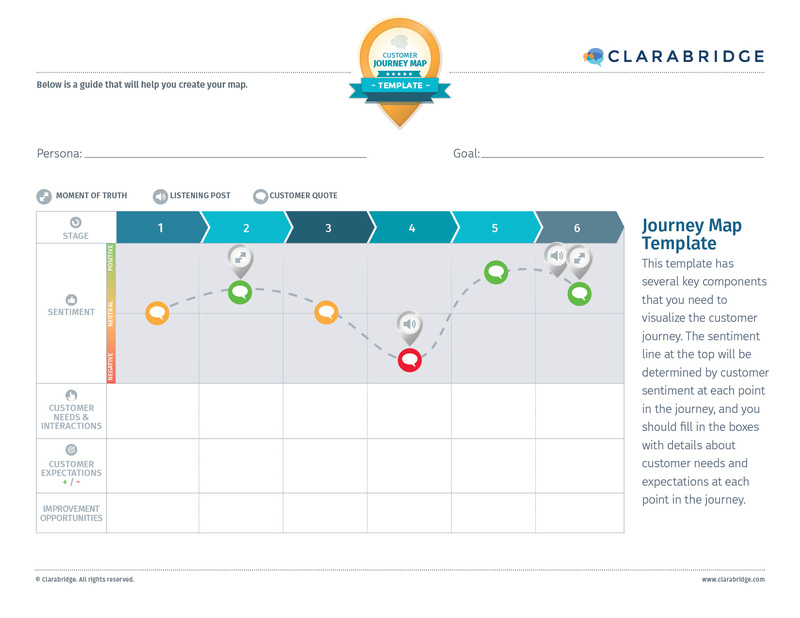 An effective journey map not only eliminates pain points and improves your customer’s journeys, it is also a living document that multiple teams with an organization should use. If you’re starting from scratch, this customer journey map template will help you get started. You can download a high-res version by clicking on the link below the image.